This book provides up to date reviews on disease management, techniques and procedures, and technology. 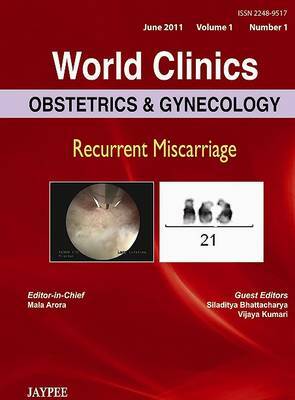 Beginning with an introduction, the following chapters examine different conditions that may cause or contribute to recurrent miscarriage, such as obesity, endometritis and genetic causes; and then discuss the role of IVF and pre-implantation genetic screening. With contributions from international specialists in the UK, USA and India, this book includes numerous images and illustrations to enhance learning.